If you like the Life is Strange formula and don't mind a political bent, this is a no-brainer and you should pick it up. If you're sick of either of those things, you won't find much new here in terms of gameplay. Yes, the first entry in the series and its prequel, Beyond the Storm, had political takes on global warming, LGBTQ+ youth, mental illness, and modern suburban parenting (so much modern suburban parenting). No, it’s not a surprise at this point that DONTNOD Entertainment developers are inserting their politics into this series. But something about the way police brutality, race, and immigration are tackled here just makes the political bent seem a little more in-your-face, and it felt that way when I played it the first time, in early December 2018. The game even starts with the song “Lisztomania” by Phoenix, which Democratic Congresswoman Alexandria Ocasio-Cortez was shown dancing to in a viral video recently, retroactively making one of the least political things in the game kind of political. Granted, that dancing video itself used to be apolitical, so … welcome to the future, I guess? If what I’ve said about the game so far is sounding like a huge turn-off for you, it probably will be. If it sounds stimulating to you, it probably will be. The rest of this review is for those still deciding whether to pick this up after everything I just said. While I know this review is late, coming closer to the release of Episode 2 than Episode 1, I’m going to be vague in order to avoid spoilers for those who haven’t gotten a chance to play Episode 1 yet. The good news is the main characters and some side characters are immediately likeable, the voice acting is mostly well-done, and everything from scripting to gameplay is pretty much on par with previous entries in the series. The bad news is there’s not much new here in terms of game mechanics or even refinement of what existed in previous games. That’s not to say this entry feels like a step backwards for the series. Longtime fans will likely appreciate the familiar gameplay and story structure, and the interactions of the two brothers will feel authentic to anyone who’s been one of those siblings. Dialogue options can still affect the story in subtle and interesting ways, even if it’s sometimes disappointing that what seem like wildly different choices on different playthroughs don’t always wildly change the core narrative within an episode. Then again, this is only Episode 1, so it’s too early to tell exactly how much your choices will change things once the game is released in full. While this episode has you playing exclusively as the older brother, the game seems to hint you might switch off at some point, given that certain dialogue options and choices affect only one of the two main characters. Plus, we’ll apparently see how the free-download prequel Awesome Adventures of Captain Spirit ties into Life is Strange 2 when Episode 2 releases on January 24, 2019. Maybe some new mechanics will be introduced then? The only thing in Episode 1 I can think of as a new mechanic is the fact your dialogue and character options can change how much money you have at any given time, where I don’t recall this being something you worried about in past games. Ultimately, this doesn’t feel like a new mechanic so much as an extra thing to consider when making dialogue and character choices, but it definitely seems like it’ll be a bigger part of the narrative and gameplay going forward. In keeping with somewhat of a tradition in the series, you can collect optional sketches by making the older brother Sean sit down to draw them, a la Max’ photographs and Chloe’s graffiti art in past games. What was a little confusing to me about this is that the game introduces you to Sean’s sketchbook in a very similar fashion to how previous games taught you about Max’s camera and Chloe’s marker, but the sketches don’t net you any achievements. You’ll have to collect badges and keychains for your backpack to get those. This doesn’t really hurt anything, and it’s neat to have a couple different things you can collect in the game, but I wish which collectibles count for achievements had been made clear early on. I didn’t find out about the keychains until little brother Daniel asked for one in a convenience store in the second act. 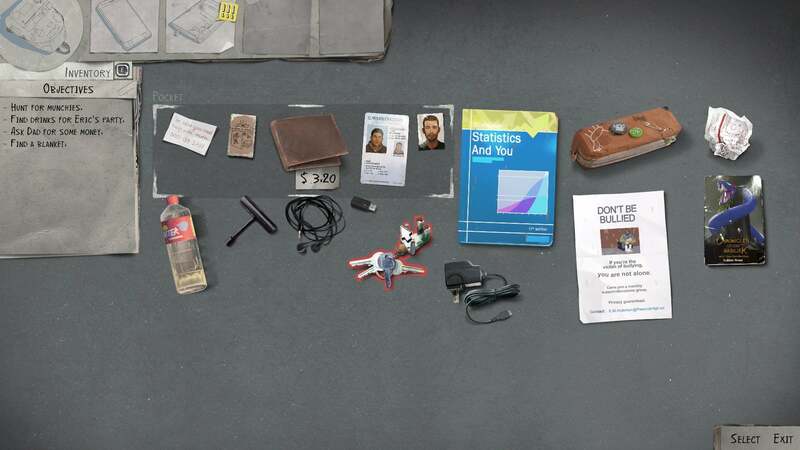 It is neat you can see these collectibles in-game on your character’s backpack though. I just don’t get why you can’t put more of them on there at once? There’s plenty of space on that backpack. 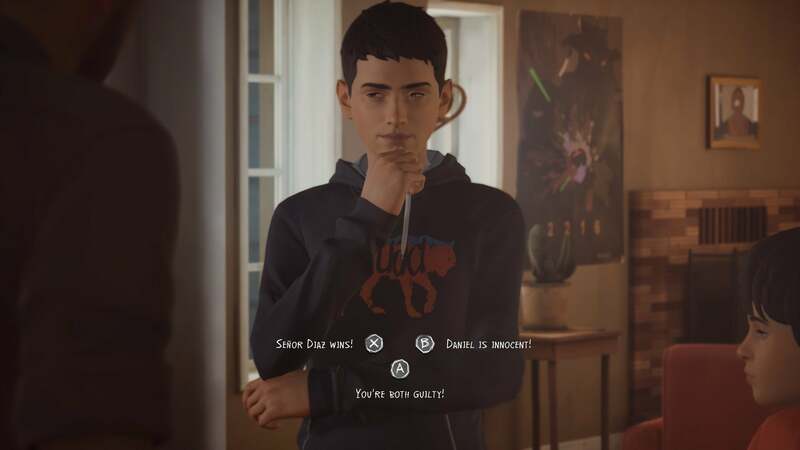 All in all, if you’re a Life is Strange fan, this episode does its job of making you want to play the next episode and find out what happens, but you should know going in not to expect anything new in terms of gameplay or narrative structure. Having said that, I definitely recommend checking it out, and I’ll be nabbing Episode 2 as soon as it’s available. Might be a game I try out, especially if it's on Game Pass. It's good at making the political personal, so while I've seen you say you want less political options (understandable! ), it might be a good one for you. Definitely start with 1 or before the storm though, which arev more likely to be free/discounted if you're on the fence. Just heard today on Major Nelson's podcast it's on Game Pass. Whoopie! I gotta finish the first one still, but I really liked it. This one looks good too. 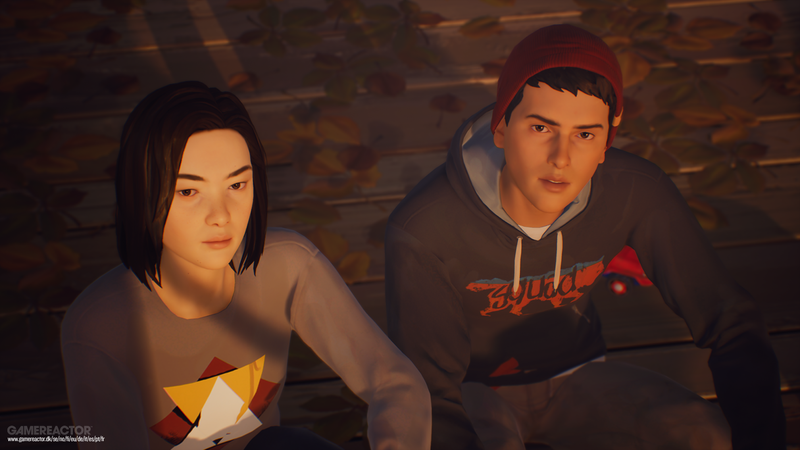 You should definitely finish the first one and I should definitely mention that this sequel asks you what decision you made at the end of Life is Strange 1 when I'm in a position to edit this review.